Our screen print shawls are a Hit with all our customers. We offer more than 300 designs in screen prints & many designs are added every season. Our screen printed shawls & scarves are absolute light weight & fine luxurious quality makes it perfect for spring /summer & also for autumn. Buyers custom designs are welcome, our design team can also develop buyers designs. 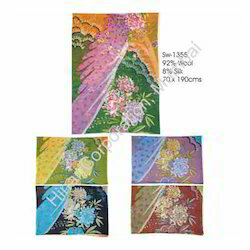 We are a trustyworthy organization offering a wide a gamut of Designer Screen Printing Shawls. 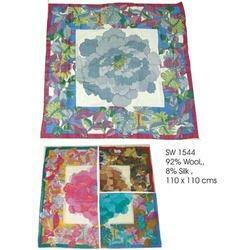 We are a trustyworthy organization offering a wide a gamut of Designer Print Shawls. 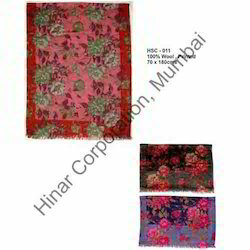 We are a trustyworthy organization offering a wide a gamut of Floral Printed Scarves. We are a trustyworthy organization offering a wide a gamut of Screen Printed Silk Shawls. 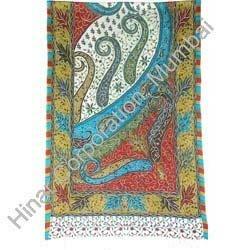 We are a trustyworthy organization offering a wide a gamut of Screen Printed Woolen Shawls. 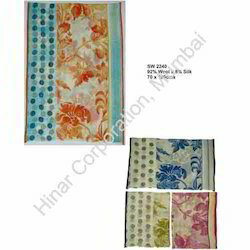 Counted amidst the reputed firm, we are consistently engaged in offering a quality assured assortment of Printed Square Shawls. 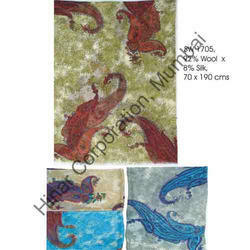 In accordance with current market norms, the provided shawls are designed and printed by our ingenious professionals using the best grade wool. 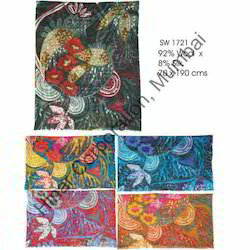 These shawls are ideal to be worn over suit, sari, skirt and have elegant appearance in ceremonies. 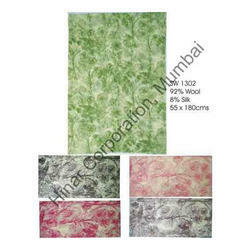 Along, the offered Printed Square Shawls can be purchased from us at affordable prices. 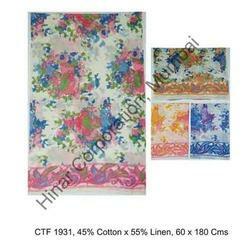 We are distinguished as one of the leading manufacturers, suppliers and exporters of Cotton Printed Shawls. Made of supreme quality cotton that has been sourced from the reliable vendors of the market, these products have a flawless finish and seamless stitching. 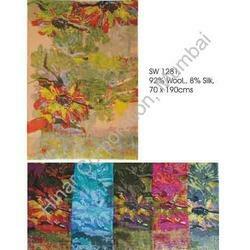 These products are applauded by our esteemed clients for their attractive and exquisite designs. 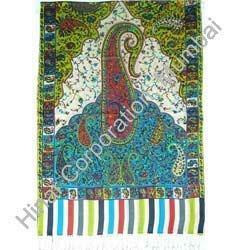 Packed in special packaging materials, Cotton Printed Shawls are delivered to the clients in a safe and secure manner. 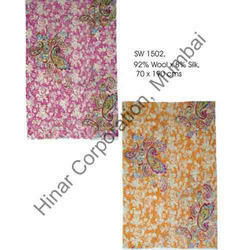 Owing to the immense support from our team, we are manufacture, supply and export Floral Printed Shawls. Made of high quality wool that is supposed to be the best in the market, these products have high tear resistance and fine finish. Machine washable, the color of these products do not fade away even after repeated washes. 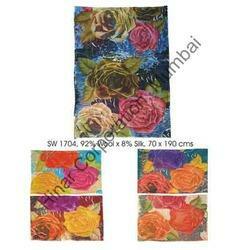 Floral Printed Shawls are packed in special packaging material so as to ensure their safe and secure transit. 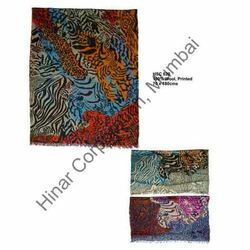 We have obtained a rich goodwill in the market by offering our precious clients a wide assortment of designer Printed Pashmina Scarve. This scarf is precisely designed under the supervision of the experienced professionals making use of quality approved pashmina fabric. 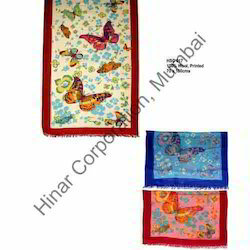 We offer Printed Pashmina Scarve to the clients at the cost effective price. It is highly cherished due to soft texture and excellent warmth.